Last week a panel of industry authorities gathered to share their perspectives on the importance of transparency in the supply chain and the challenges that food companies experience in managing different aspects, from their suppliers to once product reaches retailers. Moderated by John Wadie, U.S. marketing operations manager for 3M Food Safety, the other panelists were Melanie Neumann, president of Neuman Risk Services, LLC and Terry Levee, Senior Director, Giant Eagle. As a result of these trends, the industry is experiencing a surge in natural food and beverage start-up companies as well as the acquisition of organic and natural product companies by manufacturing giants such as Campbell Soup Co., Danone and General Mills, Inc. But in complex—and especially global—supply chains, achieving transparency comes with hurdles for verifying product claims such as “all-natural”, non-GMO, antibiotic-free, and other nutrient content or functional claims. Organic and other natural food manufacturers are under increasing regulatory and consumer scrutiny for tracing claims back to the source for all ingredients. Failing to verify the authenticity or identity preservation (IP) status of materials, maintain chain of custody and ensure the accuracy of labels can have devastating consequences for a manufacturer, including regulatory action and consumer fraud class action law suits.6 It’s not just consumers demanding the “right to know” where food comes from, but manufacturers must also push this sentiment back through their supply chain to drive transparency for ensuring safety, brand protection and verifying product claims. 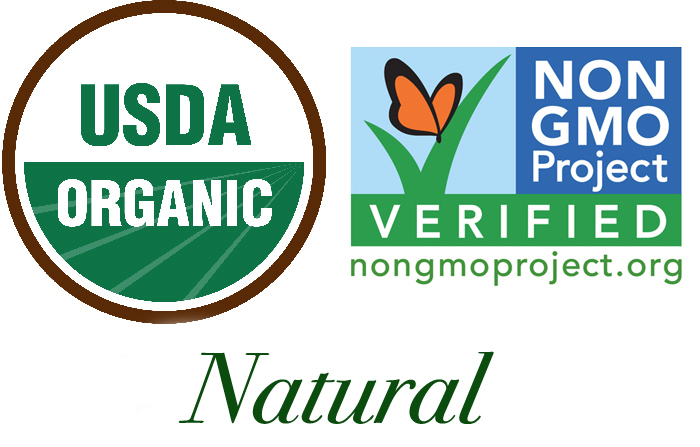 With the goal of meeting consumer demands for healthy food products, improved transparency in food production and clean labels, how can organic, non-GMO and natural food manufacturers stay ahead of the curve when it comes to ensuring that product claims provide the value consumers seek? Consider the following tasks for achieving transparency in organic and natural product claims. Get to know the pitfalls, which can affect the integrity of product claims. Many of these stem from cross contamination, authenticity or mislabeling issues for sourced materials. To prevent these pitfalls, analyze each ingredient for supply chain risks. Identifying potential risks, which may affect the integrity of claims creating liability for misbranding, is a critical step in achieving transparency. For example, is there a potential for cross contamination from a non-organic source? This is a common risk where a supplier engages in the co-production of organic and non-organic materials. A lack of segregation and clear product identification during transportation, storage and processing activities can lead to commingling or cross-contamination, which affects material integrity and thus, any downstream product claims. Ensuring suppliers and the manufacturer have clear measures in place for segregation is an important consideration when determining risk. Or, consider adulteration from a non-authentic material, which can affect the integrity of the claim. Identifying vulnerabilities within the supply chain is necessary to reduce opportunities for perpetrating food fraud. Materials such as organic products and some natural ingredients are at greater risk for fraud where limited availability is an issue and/or the material is a high-value commodity or product. Mislabeling, counterfeit production or economically motivated adulteration, such as the substitution or dilution of ingredients in a sourced material, has a significant impact on downstream product claims. Unverified packaging and labels are other sources of risk with the potential to affect the integrity of product claims. Ensure your supplier’s labeling practices include controls to verify the correct packaging and labels when producing IP materials or other ingredients with nutrient content or functional claims. With a clear understanding of material risks, what attributes of an ingredient should be prioritized, tested and/or verified when considering the integrity of finished product claims? Once material risks are analyzed, establish clear specifications for raw materials, which are agreed upon between the supplier and manufacturer. This serves as the basis for verifying material claims and subsequently, downstream product claims. Where specifications are in place, material verification may be performed through a variety methods including: testing, mass balance, COA review and audits. Verifying materials against agreed upon specifications not only supports due diligence in product claims but also brings manufacturers closer to their suppliers, steering us towards the next task. At the heart of food production transparency is the relationship a manufacturer has with its suppliers. Even the simplest of manufactured foods have a handful of ingredients, which are typically sourced through a global supply chain network. Due to the seasonality of produce or supply chain risks such as market fluctuations, business disruptions, natural disasters, or transportation failures; manufacturers can’t rely on a single supplier for the sourcing of a particular ingredient. This leads to reliance on multiple suppliers, which may be geographically dispersed. Sourcing from multiple suppliers—especially when this occurs for multiple ingredients across multiple products—can create hurdles to relationship building for enhanced transparency due to time and resource constraints for acquiring first-hand knowledge of a supplier’s operation. Thus, proactive supply chain management, which enables a manufacturer to learn about the supplier’s history and operation, is essential for transparency. This can be accomplished by establishing supplier approval criteria to provide a baseline for getting to know your supplier and establish minimum criteria for sourcing. Building upon this, is the use of approved suppliers to solidify the relationship and develop out a stable supply chain network. And finally, it is best practice to visit the supplier’s site to learn more about operational practices and the people responsible for ensuring material specifications and identity status are consistently achieved. Effective management of suppliers to prevent or reduce risks, which can lead to mislabeling and false claims, relies on the risk assessment conducted for materials and suppliers, applied controls (e.g., segregation) and verification that the supplier’s controls consistently ensure material integrity. GFSI benchmarked schemes paved the way for enhanced supply chain management and risk mitigation when it comes to sourcing materials to ensure food safety and legal status. Some schemes additionally require controls and verification activities such as the validation of health claims or verification of nutrient content to provide a framework for helping manufacturers develop a system, which ensures product integrity. For food sold in the United States, a GFSI-based system is now reinforced by the FSMA Preventive Controls rule, which requires supply chain-applied controls to mitigate material risks along with additional controls to ensure that food is not adulterated or misbranded under the U.S. Food, Drug and Cosmetic (FD&C) Act. It is important to note that while the FSMA Preventive Controls rule regulates most processors and manufacturers, organic raw agricultural commodities (RAC’s), dietary supplements and unprocessed meats are not covered by the rule as they are covered by other U.S. food regulations. Since these products may be included in organic and natural product formulations, manufacturers may want to consider applying a Preventive Controls methodology to their supply chain or pursue certification to a recognized food safety standard such as a GFSI benchmarked scheme where this is not already in place. Simplifying your supply chain can take a variety of forms such as the sourcing of local or domestic materials. Continue reading the article by clicking on page 2 below. 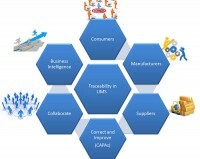 To understand why an integrated informatics solution is important to manufacturers in the food and beverage industry, it helps to first consider the unique challenges this industry faces. Simply put, food production has scaled into a global business so rapidly that oversight has hardly kept pace. Even the stricter regulatory stances taken by the FDA and the European Union in the past decade are effectively catch-up efforts. The broader food industry, which for purposes of this article will also comprise the beverage industry, has globalized quickly and, many would argue, haphazardly. It actually wasn’t that long ago that the products we purchased in our local food store were produced locally or regionally. Seasons determined selections as well—if you wanted a tomato in November, you would pay a premium for that indulgence. Seasons and geography no longer constrain what we can buy and when. By far the world’s largest industry—with a combined revenue of more than $4 trillion, the food industry has used its massive scale to overcome historical limitations. We now take for granted that our grocery carts can be filled with fresh products that may come from thousands of miles away. And those products may have been grown, processed and shipped in multiple countries before they reach our local grocer. The complexity and scale of this modern food supply chain is the industry’s greatest challenge and regulators’ greatest worry (on consumers’ behalf). How can growers, producers, processors, packagers, shippers and others in the global supply chain secure a food chain that’s so distributed? How can regulators ensure safety without restricting choice or inflating prices? The food industry—and its regulators—would likely agree on one thing: A system this massive cannot operate on trust alone, as it once did. The grower with generations of experience on the land, for example, is now too far removed from end consumers. A finished product may contain one farmer’s product and those from five others, all from different regions worldwide. Integrated informatics may seem like an unlikely fix for modernizing a highly distributed food chain, but it’s actually perfectly suited. An integrated informatics platform provides access to massive amounts of information in a timely fashion, dramatically improving decision-making. It does this by making information rapidly available to many stakeholders and by ensuring that it’s reliable. Consider this example. A hypothetical lab uses an analytical instrument to detect pesticides in barley, and regulation dictates that this data be compared to allowable maximum residue limits (MRLs). If the barley sample exceeds allowable MRLs, the manufacturer must identify everywhere that ingredient is being used, quarantine it and determine who produced it. All this must happen quickly and according to strict procedures. Procedures are critical. Not only must the lab have a process for checking against current limits for a pesticide, for example, but also that analytical information must be carefully tracked with the appropriate sample, and the method used to deliver the result must be consistent between different samples and users. Without an integrated informatics solution, adhering to these procedures, defending the quality of the data, and making it usable would be nearly impossible. Gathering the bits and bytes of data, following procedures and making the data useful enterprise-wide is important, but regulatory compliance is where most industry attention is focused today. This is another area where integrated informatics provides significant benefits. As mentioned above, food industry growth significantly outpaced regulatory oversight in the past decade. Globalization was rapid and inevitable, but so too were food safety breaches, and with progress came stories of tainted fruits, vegetables, meats, cereals, nut butters and much more. Suddenly we had a trust issue. With a food chain that’s distributed across many borders and jurisdictions, how is the public’s trust best protected and by whom? From the Food Safety Modernization Act (FSMA) to EU Regulation No. 178/2002, we’ve seen a heightened regulatory focus, and the most common themes are traceability, authenticity and risk-based approaches. The common denominator here is food chain security. So what does all of this mean for multinational food and beverage producers? It means having to conform to multiple regulatory requirements for each distribution market, and there are often many. And this is a data management and reporting headache. Fortunately, however, common standards such as ISO 22000 exist that enable companies to standardize their processes enterprise-wide, achieving levels of operational rigor and quality that satisfy multiple regulatory authorities at once. So where do informatics fit into this regulatory compliance landscape? In a typical multinational food producer, a significant amount of the quality data is delivered by the laboratory. Raw materials are analysed for pesticides, herbicides, nutritional content and so on. Packaged products are monitored for shelf-life compliance. Plant hygiene is monitored using microbiological samples taken from across the facility. Records from all of these distinct, but interrelated activities are critical for demonstrating compliance. The shift in recent years has been toward prevention instead of crisis response. Regulators now focus on auditing food and beverage producers to assess their practices prior to any adverse event. For companies with good systems in place, time-consuming audits will be less frequent, so it pays to have systems in place that demonstrate that data is reliable and defensible. Audits can be daunting. The producer must prove that activities were carried out correctly, that records are properly collected and that supporting information is accurate. Auditors typically pick a starting point in a process and follow the trail. They may start by looking at the data associated with a released batch of product; perhaps quality assurance samples; follow the trail to cleaning validation, and then review individual laboratory results, including entire methods, instrument calibration, user training, etc. At each point of the audit, producers must show evidence of compliance—even the smallest details. 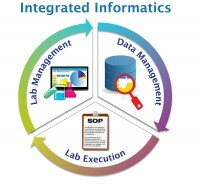 With an integrated informatics solution, all evidence resides in a single platform. Hierarchies and relationships within the data records are automatically recorded and retained. Everything—from relationships between lots or batches of material; the connection between methods, specifications and results; the history of an instrument configuration, maintenance and calibration; and user training records—is in one place for easy retrieval and reporting. It ensures that all lab users are following the same process—no personal preferences for carrying out a specific test. It makes sure that all necessary data is collected—by enforcing a series of data entry steps, labs can prevent a method from being marked complete until everything has been entered. Labs can roll out updates to their processes by updating the method for all users at the same time. Managing lab execution activities in this way means that data is more consistent; it is being collected in the same way for all users. It is also prone to fewer errors because users move stepwise through each stage of the measurement process, and they can stop a test whenever they encounter a problem. Traceability, the ability to verify the history, location or application of an item using documented information, has become increasingly more important for the food industry. And traceability is closely linked to compliance and data defensibility. Fortunately, traceability is another strength of an integrated informatics solution. In practical terms, to demonstrate traceability we must be able to go either backwards or forwards within a set of process items and understand the complicated relationships. An integrated informatics solution lets us map relationships between “child” and “parent” batches, information that can also come from integrating ERP or process or production information management (PIMS) systems. By integrating all this information, manufacturers can trace a product back through intermediate products and raw materials and then forward again to any resultant batches that may be contaminated. In other words, with an integrated informatics solution, traceability is built in. Because of its size and fragmentation, the global food and beverage industry is a target for adulteration and counterfeiting. The Grocery Manufacturers Association estimates that these activities cost the industry $10–15 billion each year. While the risk to consumers of adulteration can be deadly, as in the case of milk solids adulterated with melamine in China, much of the impact comes in the form of trust erosion and fraud. An example is Manuka honey, a premium product with purported health benefits that commands a high price. The entry of fraudulent producers into the market affects legitimate producers by creating uncertainly about all products, depressing sales and lowering prices. This is only one example, but it illustrates the larger problem: Once consumer trust erodes, it’s hard to regain. As it happens, however, honey has unique chemical markers that can be used to determine whether it has been adulterated. But isolating these markers involves complex analysis, including ultra- high-performance liquid chromatography (UHPLC), and methods that are highly specific, consistent and defensible. Consistency and defensibility are hallmarks of an integrated informatics solution. For the honey producers, an informatics solutions, such a LIMS, can automate processes so that no non-conforming product is missed, establish compliance rules and checks for instrument calibration so that results are defensible, and standardize methods through built-in laboratory execution system (LES) capability. An integrated informatics solutions is designed to address multiple business needs in the food and beverage industry, from compliance and data defensibility to traceability and brand protection. The complexity and scale of the modern food supply chain demands it. Growers, producers, processers, packagers, shippers and others in the global supply chain are now interdependent, but not necessarily integrated. The only way to protect consumers, however, is to achieve this integration through a combination of voluntary and imposed compliance. And to achieve this compliance without undue burden on the industry and imposing higher costs on consumers, we need technology that is built for integration at scale—and informatics solutions have proven they are more than capable. In America’s food supply chain, food is sourced globally. Since ingredients often come from multiple countries, inspection and quality control is challenging, as regulations, policies and processes differ in each country. Product management begins with the suppliers, from the fields where the foods are grown, to the pesticides and fertilizers used, to harvesting, washing, shipping, storing, and processing (manufacturers), and finally, to packaging and delivery to consumers. Figure 1 shows each step of the product management process can introduce contamination due to unsafe practices or other risks. As such, test data and traceability must begin in the field and end when the final product is delivered to the consumer. 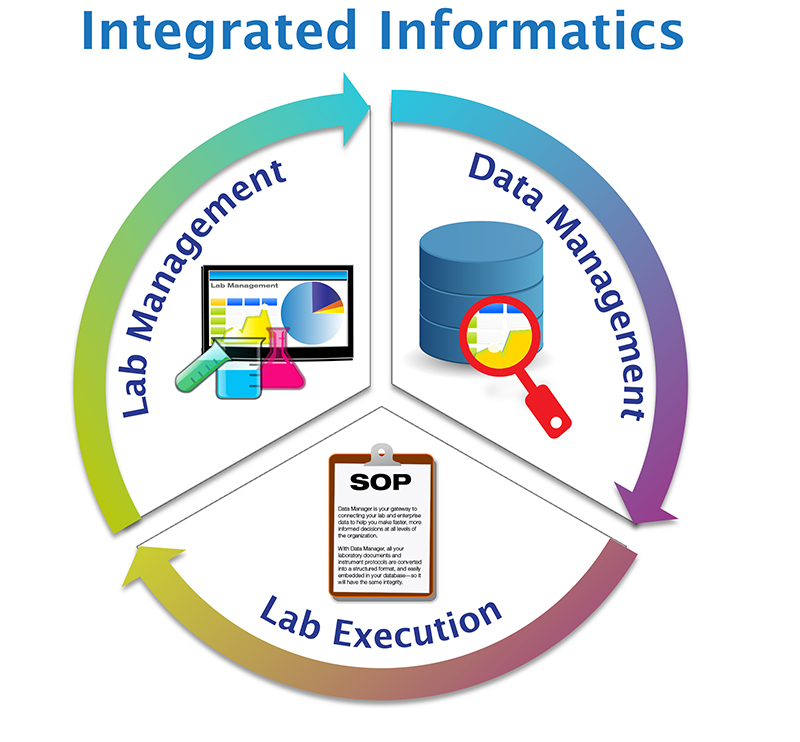 The Laboratory Information Management System (LIMS) captures all information to ensure that quality data is effectively managed, communicated, and easily and quickly accessible in the event of a contamination issue. The LIMS allows producers to provide authorities with the required sampling and testing documentation to prove compliance. U.S. consumers expect their food products to be affordable, consistent, safe and unadulterated. Consumers have seen numerous food recalls in the news, and it has shaken their confidence. The CDC estimates that about one in six Americans (or 48 million people) get sick, 128,000 are hospitalized, and approximately 3,000 die of foodborne diseases each year. Global food directives for international food initiatives include CODEX, ISO (International Standards Organization), and the Global Food Safety Initiative (GFSI). The U.S. Government has implemented various food safety programs, from Hazard Analysis & Critical Control Points (HACCP) to FSMA in order to identify and correct potential contamination in the food supply. In fact, one of the primary focuses of FSMA is preventive action based on risk assessment. The food landscape has changed significantly, especially over the past decade, as consumers demand year-round fresh fruits, vegetables and juices, along with more exotic foods. The fact that U.S. food is globally sourced has resulted in numerous challenges in quality assurance, shipping, traceability, labeling, storage, blending, testing, and reporting. For example, upon reading the labeling on an apple juice can, it is not uncommon to learn the juice has been possibly sourced from numerous countries including the United States, China, Brazil, Argentina, Chile and many other countries from the European Union. Oftentimes, labels state that ingredients may come from some of the countries listed, but it does not specify what percentage comes from each country or exactly from which country the product was sourced. 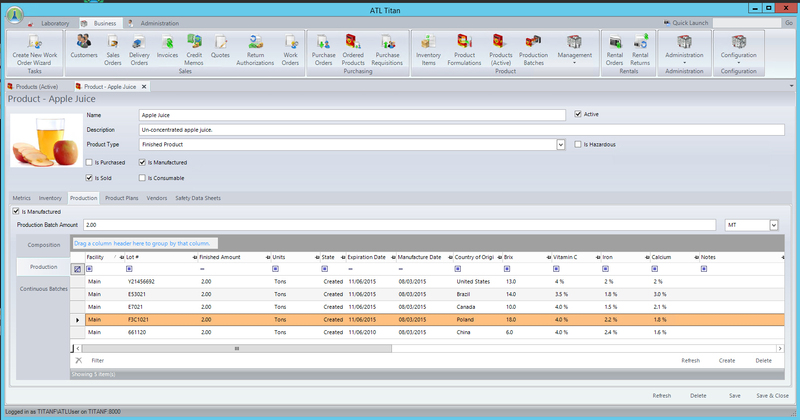 Figure 2 shows how LIMS can track and manage this information in a relational SQL Server LIMS database. A similar scenario is true for tracking hamburger meat: The meat that was used to make burgers can come from multiple ranches and hundreds of cows. Many consumers don’t understand why their food/beverage is blended in large ton batches, and producers want to reach the required final product specifications, while offering a consistent product and experience to the consumer. Blending has become commonplace in the food industry, and it makes traceability much more challenging. The same is true in blending different meats, for example regulators have found pork in products marked 100% beef, this has led to the use of molecular tests to determine if meat has been adulterated. FSMA focuses on a preventive approach rather than reaction and response to foodborne outbreaks. A central focus is on traceability, involving a complete understanding of the complex food chain and conducting testing at the key control points that can introduce contamination. It is important to understand the source of all the raw ingredients that make up a final product as well as the details of where they are sourced, the CoA (Certificate of Analysis) report, other test results, and all associated documentation. These elements are especially important, because each region of the world has different approved testing methods and is challenged with different potential contaminants and processes. As a result, food manufacturers must manage a significant amount of information on all raw materials that they receive, along with the associated paperwork, which includes the CoA, confirmatory test data, and all plant, production and final product test data. Case example. As operations scale, so does the testing. In order to manage all the testing, most laboratories turn to LIMS and laboratory automation to manage high throughput screening. A client that was performing nearly 1,000 Listeria tests per day was using an automated microbiological screening platform to complete this testing. They were struggling to hire more resources to manage and run the instrument, as the time was short and the increased sample volume was imminent. The goal was to automate testing from the nine plants that were submitting samples to the main laboratory, such that the entire process could be automated from the laboratory knowing how many samples were coming from each plant and from deploying pre-configured worklists to upload to the instruments. The instruments would then run the samples and send the result back into the LIMS. This integration alone saved more than six hours per day. In addition, the electronic data transfer was fast and error-free, and since the data was imported into the LIMS, any positives were automatically flagged in real time. This approach allows immediate action. In addition, all data from shelf life studies and additional testing on the food product (i.e., pesticide testing, environmental testing for Listeria sp., mold, yeast, etc., formulations, and blending) can be managed in the LIMS, one centralized database. Over the years some manufacturers have relied on less-robust tools to manage and maintain testing data, from multiple Excel spreadsheets to paper log books. Challenges with using these tools include data corruptions, data loss, typographical errors, and accidental or malicious data changes. These systems are often costly, especially from a resource standpoint (i.e., data errors, hours spent interacting with the data for calculations, tracking samples, and manual report creation alone). In addition, creating reports for regulating authorities can be time-consuming and because there is no control over changes to the Excel sheets or logbooks, there is typically no audit trail, and because the data is not in the database, querying the data can be very difficult. A quality LIMS will ensure that the organization is bullet-proof when it comes time for regulatory audits. It also provides a complete and secure solution to manage, track and monitor batches of product from farm to table. LIMS not only helps clients manage their regulatory compliance goals, but it also facilitates communication across the organization and provides laboratory intelligence that gives buyers insight into the best suppliers to purchase from, based on final product specification, consistency and pricing. Managers can also better understand when it is time to outsource testing based on workload data, allowing them to maximize their resources and profitably through more efficient operations. The system also accelerates communication: As soon as testing is completed, reports can be automatically emailed and alerts sent to cell phones, if any issues arise. When dealing with perishable products, time is of the essence, LIMS save time. Table 1 lists just a few of major benefits of the LIMS in FSMA regulatory compliance. A LIMS is a critical tool to the success of food companies. It organizes and securely manages all aspects of food testing, facilitates regulatory compliance, enhances communication within the organization, and maximizes productivity. Many food producers are concerned about protecting their brand and providing a high quality, consistent, and safe product to consumers while operating efficiently and at a profit. An LIMS allows them to meet these goals.